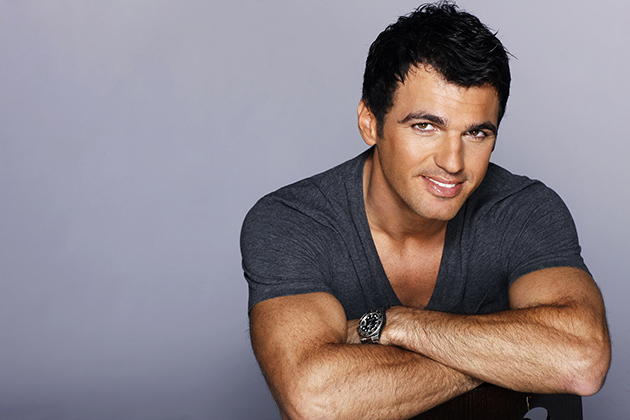 Tony Dovolani joined "Dancing with the Stars" in the second season and quickly became a fan favorite with his stellar choreography, elegance and bright smile. Dovolani and his dance partner Melissa Rycroft were season 15's "Dancing with the Stars: All-Stars" Mirror Ball Trophy champions. He also enjoys hitting the links whenever his schedule allows, playing in pro-am and charity tournaments including American Century Golf Championship, The Humana Challenge Golf Tournament, Michael Douglas and Friends Celebrity Golf Tournament and Emmitt Smith's charity tournament. Dovolani is honored to serve on the PGA Player and Coaching Development Committee and looks forward to contributing to the future of golf. In June 2016, he established the Tony Dovolani Foundation: Golf for Special Needs Children, which combines his passion for golf with helping others. The second-annual tournament was held July 14 at Mill River Country Club in Stratford, Connecticut. The tournament proceeds were donated to The Kennedy Center's Autism Project, and the inaugural tournament raised much-needed funds for the Only You Foundation. Dovolani was recently announced as one of the guest speakers at the GCAA National Convention in Las Vegas this December. Before hearing him address the crowd in Vegas, we had the opportunity to do a Q&A with him. Tell us a little about your background. Did you play sports growing up? How did you get into dancing? Actually, it's kind of interesting. I picked up golf very late in my life. I've only been golfing for about nine years. I actually started dancing at about 3 years old. My dad first took me because he thought it would help me with my balance, flexibility, agility and so on. But I liked sports. One thing when I was growing up that my dad was very adamant about was completion. To explain that, every sport I did I had to win something before I tried another sport. It's funny enough, I played soccer first and we won our state championship, then he let me try basketball. When I did basketball, we won the city championship against some other schools. Then, I was able to try handball until we won the city (championship) again. Then, I tried ping pong when I was about 12, and my team won a team event. Then, I tried bicycle riding, and all along I kept dancing to maintain my flexibility. Even in bicycle riding, I won a gold medal as a junior. This was all before I came to the United States. The funny thing is, there was a way to my dad's madness. This was probably early '80s, which was the explosion of international sports. That's when the world kind of became smaller in terms of sports. You heard about the Michael Jordans and Larry Birds. I think that was the thing was that the way I did it, I was able to stay focused and concentrate all my energy on one sport at a time and win different titles, which I was very proud of. It's interesting because I was watching Tiger (Woods) around 2008. I was watching him and my wife said, "I know you like watching golf, so why don't you try it?" I was kind of looking for a sport because I had just retired professionally (dancing) so I was looking for something to replace that adrenaline rush that you get when you're competing, and I sure found it and I loved it. I liked it so much that I was spending four to five hours on the driving range per day. I was taking lessons left and right, I was lucky to find an incredible coach in Pat Dempsey — he's a world long-drive champion. He basically made me fall in love with the sport in such a different way because I'm a very analytical person as well as expressive, which is a very interesting combination. He saw I liked the numbers and the outdoors of the sport, and he introduced me in the way of learning how to feel the club, what the club does, understanding where the ball is going, and what to do next. He was quite intricate at that. So much so that when I hit a golf shot, I could tell you what the spin rate of the ball is. That's how weird I got about it. Professional dancing is obviously much more in the minds of the U.S. populace now thanks to the TV show "Dancing with the Stars." How did you get involved with show? Share what the professional dancers do each week and how they teach the celebrities. It's quite different. I had just come off of winning my second (pro) title. I was so used to all the best dancers in the world showing up on the dance floor and just going at each other with our skills and artistry. But with "Dancing with the Stars," you're given a celebrity, and quite literally they say, "Good luck!" You have to prepare yourself mentally and physically, because it's a grueling schedule. It's seven days a week, and mentally you have to prepare yourself for who you're working with. The first couple weeks of the show, you're trying to decide what kind of personality that person is — whether they are analytical, expressive, amiable or a driver — that way you can figure out a program of how to teach them and get the most out of the celebrity. A lot of times they come with different skill sets of how capable they are or are not. Everybody comes in with the skill of communication, but you as a teacher have to figure out how to be able to communicate with them to teach them in the best possible way. In my case, I always got the projects, which you know may need a little more nurturing or a little more patience. My job was always to find the best way to create success for them, because winning for them was not always as clear-cut, as far as winning the trophy. Winning for them might've been just to get on the dance floor and be able to complete the dance and remembering the choreography. Winning has different goals for each person. It could be just as much learning the choreography as winning the trophy. When I won with Melissa Rycroft, it was about winning the trophy, because she did have the communication and the balance. For us, it was finding ways to be clever and find the strategies to take it all the way to the end. All of that, as a teacher, you're almost a life coach as well as a teacher, performer, partner and support system. You kind of wear 15 hats along the process. Where is the connection between professional dancing and the game of golf? It's funny because I was asked this when I was asked to be a part of the players and coaching development committee for the PGA of America. I said honestly what you guys, as golfers, are missing is the fact that it is an art. Golf is an art form. Yes, it is athletic. Yes, you do need skill and patience. You need good footwork and to put 10,000 hours in, but it is an actual art form. There are four different stages to golf: mechanical, where you break down your swing and break down how to create something. There is a fluid stage, where you connect the dots of how to complete your swing from one end to the other, and that in itself is an art form. Then there is the management phase, where you become aware of your environment, such as the golf course, the hole you are playing, the wind, the elevation, the air density and so on. And then there is the performance. 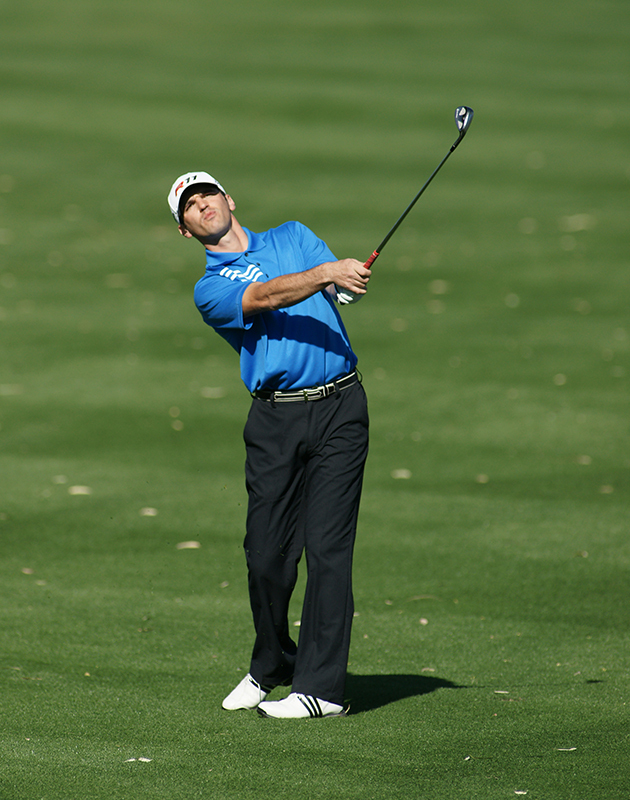 The performance stage is basically the show-off stage, where you create an artistry from your swing to connecting with the ball to landing it with backspin, or rolling it out to the hole. It is an art in itself. To take all of those components and be able to hit a ball that is sitting still with a shaft that has a club head attached to and to make it go the exact distance, working it through the wind, whether it be right to left or left to right, and landing it on the green and rolling up to the pin, it is a true art form. If anybody doesn't think that, they are in the wrong sport. When you take those four things and compare them to dancing, they are the same thing. You take the mechanical stage, the fluid stage, which is completing the spin. Management is the space awareness — if there are people around you or what are you projecting your energy to, are you being light or are you being heavy, are you balanced, are you being free or creating impact or impulse energy. Then, you have the show-off. Are you projecting it? It's not all about the athleticism, it's about the emotional connection to what you are trying to portray as far as your storyline. So, it is the same exact thing. If you notice, each golf tournament has a storyline. Whether it be the artistry of Phil Mickelson or the athleticism of Tiger Woods, both of them have great storylines. Those stories come to life when the artist and the sportsman are one. That's how they are able to create that. A lot of times people think that they should take their brain out of it and just feel it. I say no, and that it is a combination of all four (stages). You need to be a good mechanic, you need to have fluidity, understanding how your body works is the first step toward success. Then, being able to succeed in the setting that you set. My favorite part is, are you prepared for the environment you are about to create? This is where college kids need the most help because they all go to college to succeed, to shoot the lowest scores they can, but once they get on the leaderboard, they have created the environment. Are you prepared for it? Are you going to fold under pressure or rise to the top? College kids fight so hard to get on the leaderboard, and once they get there, they change their strategy. They become defensive and get nervous. The pressure gets to them. But, to me, pressure should just be part of the next stage. It shouldn't be a surprise. This is why college coaches have to prepare their students for the pressure situations, and the way you do that is giving them an actual task, not having them react to the pressure but instead develop and create the pressure. Just like the mechanical stage, you have to manage it, exercise it, break it down and study it, just as the fluid and management stage. The performance stage is the part people spend the least amount of time on unfortunately because they think, "Well, you do the other three, the performance should come into itself." But it doesn't. You have to exercise that and prepare yourself for the pressure situations and the thought process you need to have, what artistry you are going to have, and how you are going to become the champion. Help us understand what it means to be a success coach and how it applies to teaching/playing the game of golf? I've been helping people here and there. I'm more specifically an athlete coach. I don't break it down to specific sports, I try to create good habits. I hate trying to break old habits, so what I try to do is create new habits and make the person get on a highway without access. When you get on a highway with no access, you're not looking left or right, your destination is your goal. There are no rest areas on that highway, you have to get from point A to point B. Have you worked with any amateurs/college athletes? I have not worked with any college players just yet. I have spoken to a couple of teams. That's something I've noticed with college coaches, is they are very protective over their teams. In protecting, I always say a bird pushes its chicklets out of the nest, because it wants them to take a leap of faith and start flying. But when you are protecting college kids, you are enabling them not to be successful in some ways. For me, it is about getting them out there and learning as much information as possible. Even bringing in outside sports coaches to expand their knowledge. That is always a big plus. When I was a kid, my coach would bring coaches from all over the world and as many as possible to get as much information as possible. He told me a long time ago, "I need you to have an arsenal of weapons so that whatever battle you go into, you will be ready for it. If I don't expand your knowledge, I am not doing my job. My job is not to create a replica of me but a better person than me." That's the attitude my coaches have had. I've had 13 different coaches throughout my career. As golfers, you have specialists and coaches that work with you specifically, you have to go to different specialists to work on certain things. Me trying to help college kids in sports psychology and how to be a winner, it is not so much how to become a winner, but I would love to equip them with as much ammunition as possible so they may be able to understand how they can better learn the game of golf and manage themselves, as well as being managed. A lot of times if you just lean on your coach, you will not be successful. You have to have a little bit of strategy yourself on how to overcome adversities or overcome challenges as they present themselves, which could be simply missing a putt. What is the most difficult part of the game, in your opinion? There is a marriage between the difficult part and the easy part. Every shot can be as easy as it can be and as difficult as it can be. It simply takes concentration and being able to have all of it work at the same time. In other words, timing. Timing is the most difficult part and the easiest part when it is available to you. If your brain, your body and your thought process is tied together, you shouldn't have any issues with timing. Your physical, verbal, visual and factual have to work together to have the greatest result every time. That is the most difficult part, being able to put those four together. What golfers do you think could be being successful dancers? I'll be honest with you, I've thought about that for a while. I know the older guys, like Gary Player — he would be a great dancer on "Dancing with the Stars." But based on the way I've seen them move, it's between Jordan Spieth and Justin Thomas. They are both so physically flexible, and I think they would be pretty good dancers. It would even elongate their golf careers if they brought dancing into their life. The game today as we know it, the difference from years past is the swing speed is much faster, and this actually hurts their joints very badly. I think dancing keeps you healthy enough that you can have a long and prosperous golf career.